Just last week, the UFC celebrated its newest women’s division, the 125-pound weight class, by crowning Nicco Montaño the champion at the finale event of The Ultimate Fighter 26. While Montaño survived a gauntlet on the reality series to become the UFC’s titleholder, she still could be viewed as second best when compared to Invicta’s flyweight champion, Jennifer Maia. Maia might not have gone through weeks of suffering in a TUF house, but she’s beaten the likes of Roxanne Modafferi and Vanessa Porto to stand atop the Invicta flyweight division. Now, she puts her title on the line against Aga Niedźwiedź at the top of the bill for Invicta FC 26. Maia’s opponent is a young up-and-comer. The 22-year-old Polish phenom remains perfect through 10 pro fights since debuting in 2012. Niedźwiedź has also defeated Porto, and she also holds victories over veteran fighters Christine Stanley and Samara Santos. Can Niedźwiedź join Joanna Jędrzejczyk and Karolina Kowalkiewicz as a top fighter out of Poland, or will her Brazilian counterpart lay further claim to the title of the best flyweight lady in the world? Invicta’s lineup for its latest event in Kansas City also includes the promotional debut of Mackenzie Dern, a talented grappler whose biggest struggles thus far have come on the scales. Dern takes on Kaline Medeiros in the evening’s co-headliner. Further down the card, Kinberly Novaes clashes with fellow strawweight Janaisa Morandin, the aforementioned Porto meets Milana Dudieva in flyweight action, strawweight Virna Jandiroba seeks to maintain her unblemished mark against Amy Montenegro, atomweights Tessa Simpson and Amber Brown battle it out, and flyweights Christine Ferea and Karina Rodriguez lock horns. The card opens with a showdown in the strawweight division between rookie competitors Kay Hansen and Emilee Prince. Invicta’s eight-fight lineup graces the promotion’s normal broadcast home of UFC Fight Pass on Friday, Dec. 8. The event, which takes place at the Scottish Rite Temple, kicks off at 8 p.m. ET. 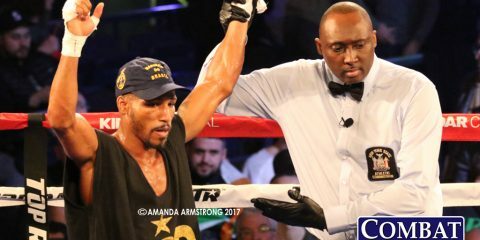 Combat Press writers Kris Crawley and Bryan Henderson preview the fights in this edition of Toe-to-Toe. After beating Vanessa Porto for the interim title and then defending her undisputed championship against Roxanne Modafferi, Jennifer Maia goes up against the undefeated Aga Niedźwiedź at Invicta FC 26. Can Maia overcome her Polish challenger, or will Niedźwiedź prove to be too much for her? 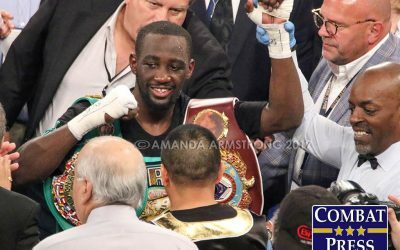 Crawley: Over the last four weeks, we witnessed the women’s flyweight division take center stage in the two biggest promotions in North America. 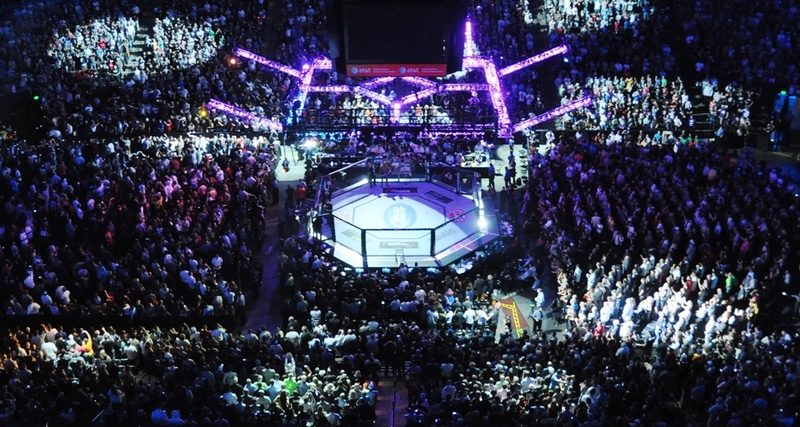 One week after the industry-leading UFC crowned Nicco Montaño as its inaugural 125-pound champion, Invicta, the premier promoter of women’s MMA, will put on a title fight of its own that carries equal importance. Maia defends her crown against the rising Niedźwiedź in a battle for the No. 1 spot in the division. The ranking is not the result that the fighters have their eye on, however, as the winner not only walks away with the Invicta title but most likely a UFC contract soon after. The fight itself is a hard one to call. 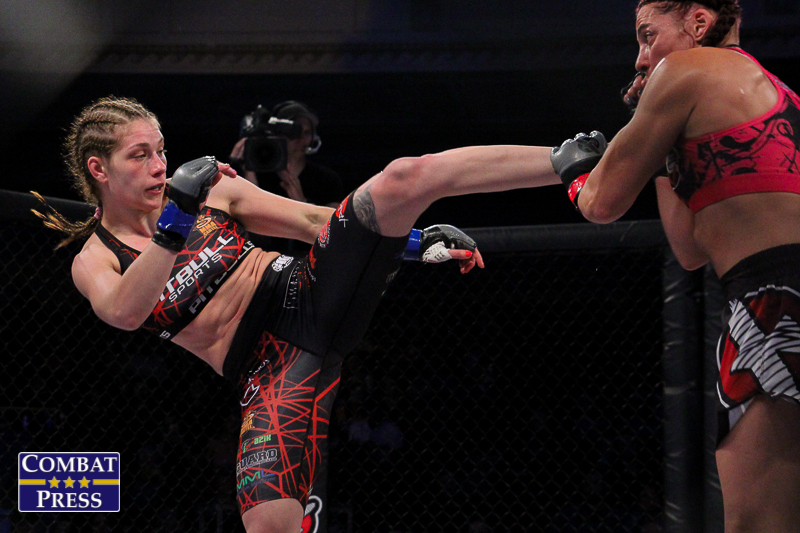 Both women are well-rounded fighters who have proven their toughness inside the Invicta cage. Maia has the clear edge in experience. She has also faced quality opposition on a more consistent basis. This does not mean that her Polish challenger is not a threat. While Maia has experience, the 22-year-old Niedźwiedź has youth, a 70 percent finishing rate and an unbeaten 10-0 record that includes the biggest win of her career, the decision nod over Porto. Niedźwiedź has good striking and can hang with Maia on the feet, but it wouldn’t be smart for her to stand with Maia for long. The Brazilian has shown in the past that she is open to the takedown, where Niedźwiedź has the biggest advantage. If the fight is contested primarily on the feet, then Maia will pick apart her opponent for the better part of five rounds. However, because of Maia’s susceptibility to the takedown however, Niedźwiedź will use her ground-and-pound to earn a close decision victory in an entertaining fight. Henderson: Niedźwiedź sure seems primed to follow her fellow Polish stars Joanna Jędrzejczyk and Karolina Kowalkiewicz into the spotlight. The 22-year-old looked like a far more mature veteran than her age would suggest when she fought and defeated Porto. She also posted a strong showing against Christine Stanley in her other Invicta outing and added a strong finish against Samara Santos in her native Poland to close out 2016 with a bang. 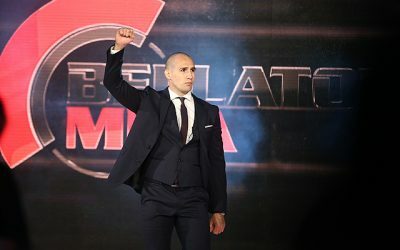 Even if Niedźwiedź doesn’t get the job done against Maia, you can be sure this won’t be the last we hear from the young fighter at the top levels of the sport. Maia has been the grinder among the top flyweights in the world. She doesn’t always win — Maia has suffered Invicta losses to Leslie Smith and DeAnna Bennett — but she keeps fights close and competitive. She decisioned Porto to claim the interim belt and then eked out a split verdict over Roxanne Modafferi to defend her undisputed crown. 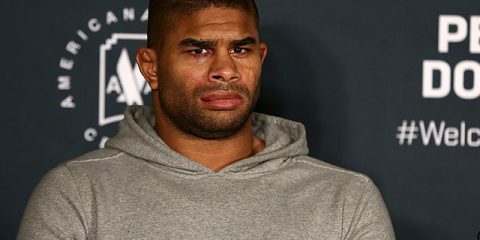 As solid as Maia has been, this is a fight Niedźwiedź can win. The youngster is very composed in combat and has the tools to give Maia problems. As my colleague suggested, there’s no easy pick in this one. Maia’s not going to be an easy win for Niedźwiedź, and a split or majority decision wouldn’t be a surprise either. However, the young prospect’s meteoric rise seems like it’s destined to take her all the way to the top of Invicta’s flyweight mountain. Mackenzie Dern has arrived in Invicta after competing under the Legacy Fighting Championship and Legacy Fighting Alliance banners for her entire pro career. Is Dern destined to become Invicta’s strawweight champ? 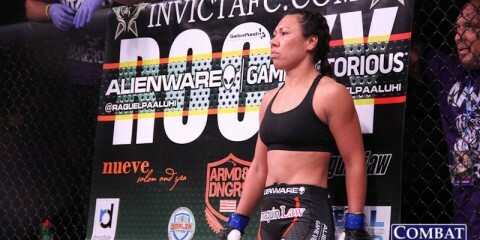 Is her first Invicta opponent, Kaline Medeiros, any match for the elite grappler? Henderson: Dern is likely to play heavily into the future of Invicta’s 115-pound division (or even at 125 pounds), unless the UFC signs her before she has time to land a title bout. It certainly helps that Invicta’s roster has thinned already thanks to the UFC, but Dern would be a strong contender even if Rose Namajunas, Carla Esparza and Tecia Torres were all still swimming the Invicta waters. Dern’s an elite grappler who has brought those skills to the MMA arena. She’s sort of a female equivalent of Demian Maia. Right now, Invicta’s strawweight belt is vacant. Only Invicta veteran Mizuki Inoue really stands out as a member of the 115-pound elite on Invicta’s roster. The door is definitely open for a quick rise here. First, the 24-year-old Dern has to get through Medeiros. The 38-year-old “Dark Angel” has what appears to be a modest record, but she accrued most of her losses within her first seven pro fights — she was 3-4 by that time — and has since gone on to deliver five wins and just one defeat, which came at the hands of Angela Hill in a title challenge. Of bigger note is that Medeiros has suffered several losses via submission. She could be the perfect first opponent for the grappling game of Dern. Dern should take the submission win in this one. Before we move on, though, it’s important to point out that one detail again: Dern is facing an opponent who just challenged for the Invicta strawweight strap in late 2016. After posting a solid set of victories in Legacy, Dern might be on the fast track to a title bid in Invicta. If she impresses here, it wouldn’t be surprising to see her paired up in a fight sometime next year with gold on the line. Crawley: While Dern is an accomplished grappler and has proven to be a prospect to watch on the women’s scene, I’m hesitant to get on board with the notion that she is ready to be considered among the elite at 115. However, that’s not because of a lack of talent. Dern’s biggest battle to date has been with the scales. Out of her three contracted bouts at strawweight, she has only made the limit once thus far. She first missed weight in her second professional fight, coming in almost three pounds over the strawweight limit. In her next fight, the Brazilian Jiu-Jitsu world champion missed the mark by so much that the fight with Katherine Roy had to be rescheduled as a catchweight bout at 120 pounds, a mark that Dern still needed two attempts to hit. Her battle with cutting weight did not stop there. She was pulled from an Abu Dhabi World Pro grappling event at the last minute due to missing weight in that arena. 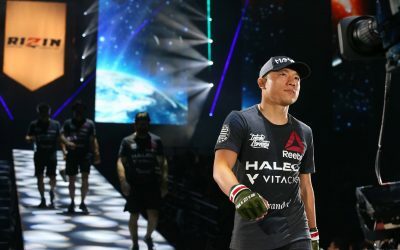 Her struggles on the scales were so evident that her last professional fight at LFA 24 was outright scheduled at flyweight, giving the 24-year-old grappling ace a realistic mark that both the promoter and fighter could be comfortable with as a goal. 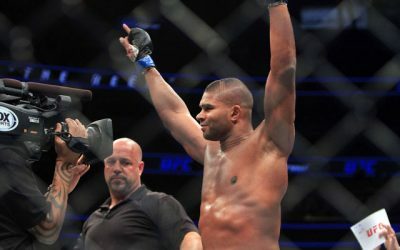 It is true that the Invicta strawweight division is wide open due to most of the category’s top talent moving over to the UFC, but with Dern’s inconsistent performances on the scale and more reliable fighters on the roster, Dern may be further from a title shot than most fans realize. 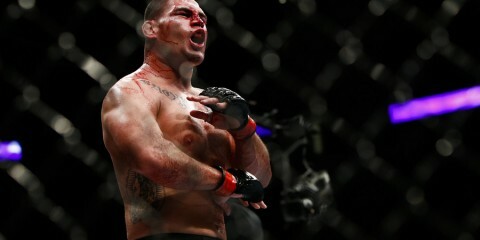 There are other talented fighters who could quickly slide into the title picture. Two fighters to keep an eye on are Virna Jandiroba and Kinberly Novaes, who will compete on the same card as Dern. 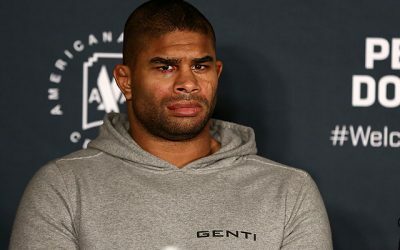 Novaes, whose record stands at 9-3, has only fallen to quality opposition, dropping decisions to UFC strawweight Juliana Lima and former Queen of Pancrase Syuri Kondo. The only time the Brazilian standout was beaten inside the distance came in the form of a submission loss to atomweight challenger Herica Tiburcio. Jandiroba has also quietly moved into the ranks at 115 pounds. With an unbeaten 11-0 mark that includes victories over Aline Sattelmayer, Lisa Ellis and Ericka Almeida, she might just need one more solid win to earn a crack at the division’s crown. With that said, this is a business these days based on popularity and drawing power, which Dern, at only 4-0, already holds as an advantage over most women on the Invicta roster. Medeiros is indeed the perfect fight for Dern to showcase her skills. Medeiros is much better than her 8-5 record suggests and she is not an easy out for anyone, but her weaknesses play right into the hands of Dern. Dern needs to make a statement in this fight, not just by performing well but also by looking strong and hitting her marks on the night of the weigh-ins, which is somewhat of a spectacle in itself. If she falls short, then she should consider focusing on a more manageable 125-pound weight class, which may be looking as thin as strawweight after Invicta FC 26. Kinberly Novaes, Virna Jandiroba, Kay Hansen and Emilee Prince — do we need to know these names? Crawley: When it comes to Hansen and Prince, it is hard to be hopeful for the future when there is not much evidence for it. Neither woman has much of an amateur or professional resume to judge. Novaes and Jandiroba couldn’t be more different. 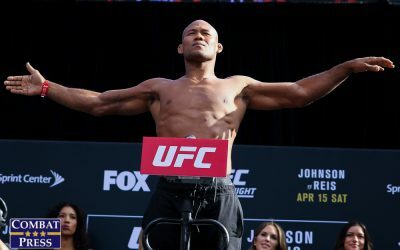 Novaes is definitely a fighter to watch. After dropping her first fight to Juliana Lima, Novaes has gone 9-2 over her next 11 outings. This run includes a TKO triumph over UFC strawweight Jessica Andrade, although very early in their careers. Her choice to primarily compete on the regional circuit has definitely helped her growth as a fighter, but it remains to be seen if she is ready for a step up in competition. Jandiroba is similar to Novaes in that she benefited from her time on the regional scene, but she has not faced the killers that Novaes has seen. The unbeaten 11-0 ground specialist is not shy. After submitting nine of her 11 opponents, Jandiroba began claiming that she is the female version of Demian Maia. This is the kind of talk that promoters love. As long as she can back her talk up in the cage, expect Jandiroba to be fast-tracked to the title in 2018. Henderson: Those two Brazilians are the type of female fighters that industry insiders have had their eyes on for quite some time now. Novaes had posted a solid 8-2 mark by mid-2015 before pregnancy prevented her from fighting Jocelyn Jones-Lybarger at Resurrection Fighting Alliance 29. It could have been a big break for Novaes, but she had something even bigger to celebrate at the time, of course. It took her another year to return to action, and she’s gone just 1-1 since then, but Novaes is only 26 and has a proven track record. She’s appeared under the Aspera FC and Pancrase banners, but this will be her first major exposure to the American crowd. Unfortunately, she has a tough opponent in front of her when she meets Janaisa Morandin. Jandiroba debuted in 2013 and choked out her first five opponents. She went the distance with Aline Sattelmayer, but then returned to collecting submissions for four fights before she needed the judges once again in her most recent outing against Ericka Almeida. She has a winnable fight against Amy Montenegro and could definitely ride that fast track to title considerations. The rookies are certainly a tougher call. The 24-year-old Prince will really have an uphill battle. 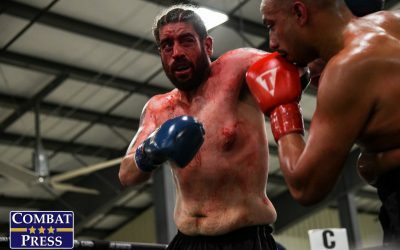 This fighter went 2-3 as an amateur and suffered two TKO losses along the way. She tends to win by submission, but she just plain doesn’t win often enough to really inspire confidence. Her opponent, Hansen, is just 18 years old and only has one amateur fight listed on her resume, but it was a quick knockout win in the first round. If either of these ladies turns out to be a fighter to watch, it’ll be Hansen. Henderson: The fight between Vanessa Porto and Milana Dudieva seems to be one of the more overlooked fights on this card. It makes sense, though, considering that Porto’s on a two-fight skid and Dudieva has lost her last three fights. Yet, that’s what makes this a sleeper candidate. Both ladies are hungry for a win, and one of them really isn’t too far down the rankings despite consecutive losses. Porto suffered her recent setbacks at the hands of the two ladies who are battling for flyweight supremacy at the top of this bill. There’s no shame there. Furthermore, her last victory came against Roxanne Modafferi, a veteran fighter who advanced all the way to the semifinals of The Ultimate Fighter 26 and ultimately ended up as a late replacement to fight for the inaugural UFC women’s flyweight crown. Dudieva’s recent skid started with a loss to Julianna Peña inside the UFC’s Octagon. 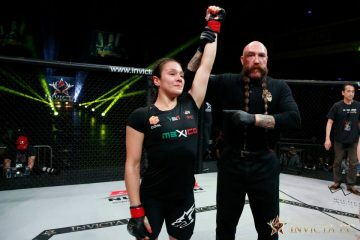 After her next loss against Marion Reneau, the Russian fighter was jettisoned from the UFC roster and landed in Invicta, where she was on the wrong end of a split decision against the unheralded Mara Romero Borella. Dudieva’s UFC losses came via technical knockouts. Porto can be aggressive out of the gates, although the Brazilian has taken a more measured approach in recent fights. If that aggression comes out again, though, she could really put Dudieva on her heels. Any type of pressure in the striking game could cause Dudieva to crumble again, and Porto’s the caliber of opponent who can make that happen with ease. It should be a fun fight that ends with a finish for the Brazilian contender. Crawley: This may sound silly to some, but the most overlooked fight on this card is the atomweight contest between Tessa Simpson and Amber Brown. With the future of Ayaka Hamasaki uncertain, this is one of the more important fights on the bill. Simpson looks to get back on track after finding herself on the wrong side of a judges’ decision in May, her first defeat since debuting at 105 pounds. After starting her career with a 6-1 mark, Brown has fallen on hard times lately, coming up short in three of her last four outings. The struggles of Brown are why this fight is sliding under the radar. “The Bully” may not have the resume of Simpson, but she is definitely a capable fighter. Four out of her six triumphs have come inside the distance. Some of her victims include Shino VanHoose, Catherine Costigan and Kikuyo Ishikawa. 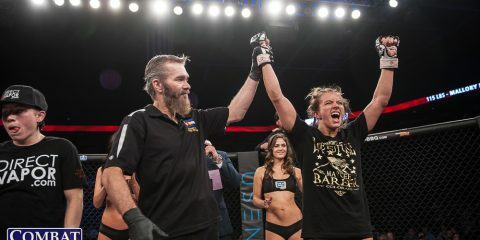 Brown has only fallen to the elite in the division, and a victory over a fighter the caliber of Simpson could put her back in the mix, even with those recent setbacks. This is a dangerous fight for Simpson, who is ranked much higher at atomweight. “The Typhoon” earned the biggest opportunity in her career at Invicta FC 23, where she faced former champion Herica Tiburcio. Simpson was granted the bout after going on a three-fight winning streak that included victories over the likes of Paulina Granados, Satomi Takano and Simona Soukupova. While Tiburcio saw her hand raised in the bout with Simpson, Simpson more than proved she could hang with the best the atomweight division has to offer. 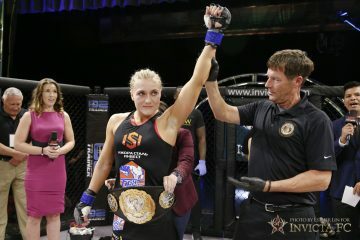 A win over Brown does little for the Austin Kickboxing Academy product’s standing in the division, but it could position her one fight away from a shot at Invicta gold. Crawley: An all-you-can-eat buffet after a year of fasting. This is the most stacked card put out by Invicta in over a year. You have the option of picking and choosing what you want or taking in the whole card, but at the end of the night your hunger will be satisfied. Henderson: The UFC’s newest women’s division. Invicta has always been a great standalone league, but more and more it’s becoming the source from which the UFC builds its roster for the women’s divisions. This event features a headliner between two women who belong in the elite mix and probably hold a stronger chance of an extended title reign in the UFC than recently crowned champion Nicco Montaño. It also includes longtime top contender Vanessa Porto. Heck, even one of its strawweight fights features a potential future UFC flyweight. This card is definitely a strong one for Invicta, but the results might factor more into the UFC’s future than that of this league.